Valkenberg Park links the railway station to Breda town centre. The park entrance is marked by a folly, a lighthouse by Aldo Rossi. 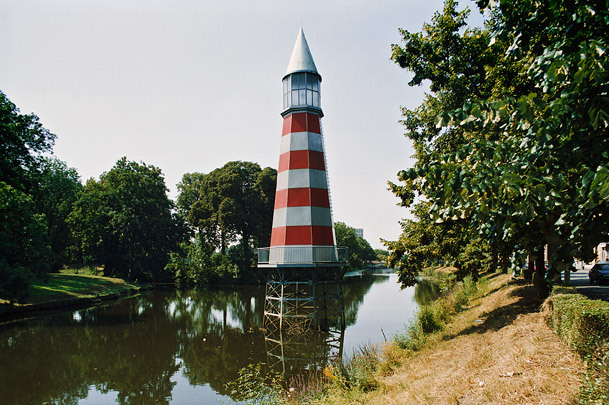 In 1988 Rossi made two similar archetypal lighthouses for a sculptural event in Rotterdam. Inside the park is a cheerful tea house designed by artist/architect John Körmeling. The basic rectangular glass building is adorned with slogans designed to whet the appetite.